ICH Blog: Calling all Conception Bay girls! Do you know a tradition about dolls and candy? Calling all Conception Bay girls! Do you know a tradition about dolls and candy? I got an interesting message today from textile artist Susan Furneaux, an instructor at the Anna Templeton Centre for Craft Art and Design. She has taught textile workshops for various professional craft and art organizations throughout Newfoundland Labrador, Canada and the United States. Today, she wanted to talk dolls. Susan is looking for information on a tradition in Conception Bay Centre, and possibly other places, where girls went around with their dolls, all dressed up, and knocked on doors, asking for candy. "Someone from Avondale told me that they did it as girls, like the boys did with the wren. The woman who told me was still bitter because the boys got money (for the wren) but the girls just got sweets... Not sure what time of the year it was." Does anyone have any idea what this is called, or have any memories about this tradition? If it rings a bell, leave a comment, or email Susan directly at susanfurneaux@gmail.com. Doesn't ring a bell, but I'd be on board for reviving it. I had a Wendy Walker or Walking Wendy or something in the 70s. And a red dump truck. 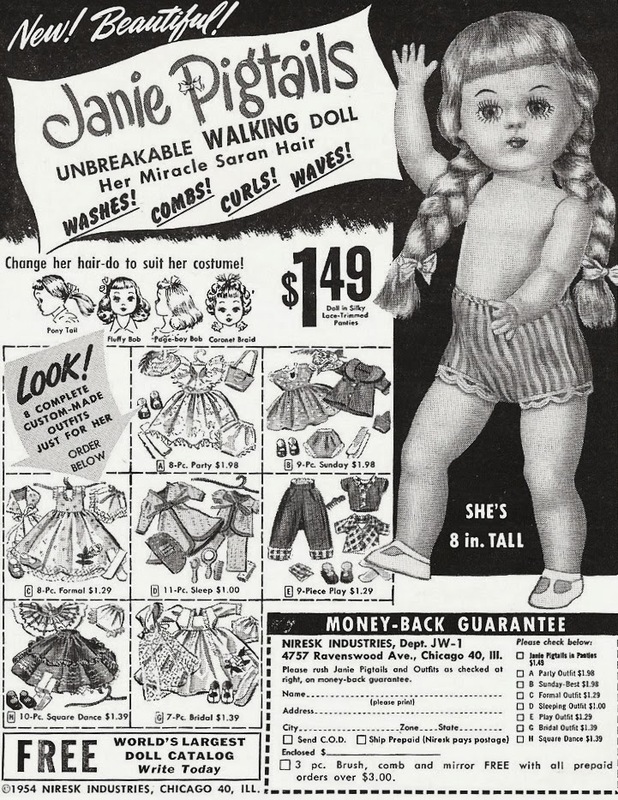 I could bring the doll, and fill up the dump truck up with candy - if I still had them.